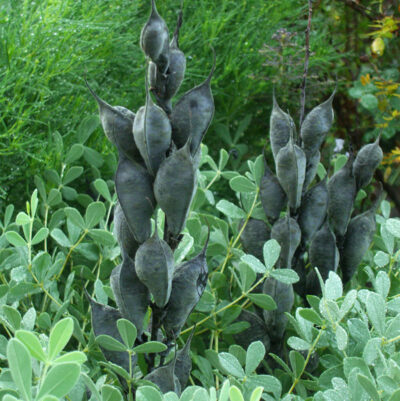 Always wanted the native false indigo in your garden, but it was just too big? Here is your plant! Large, violet-blue, 12-18” flower spikes bloom profusely in spring above 2’ of beautiful blue-green foliage. Shorter stems mean the plant stands up straighter and fits in smaller spaces. Decorative black seed pods add interest to the winter garden or can be used for dried flower arrangements. 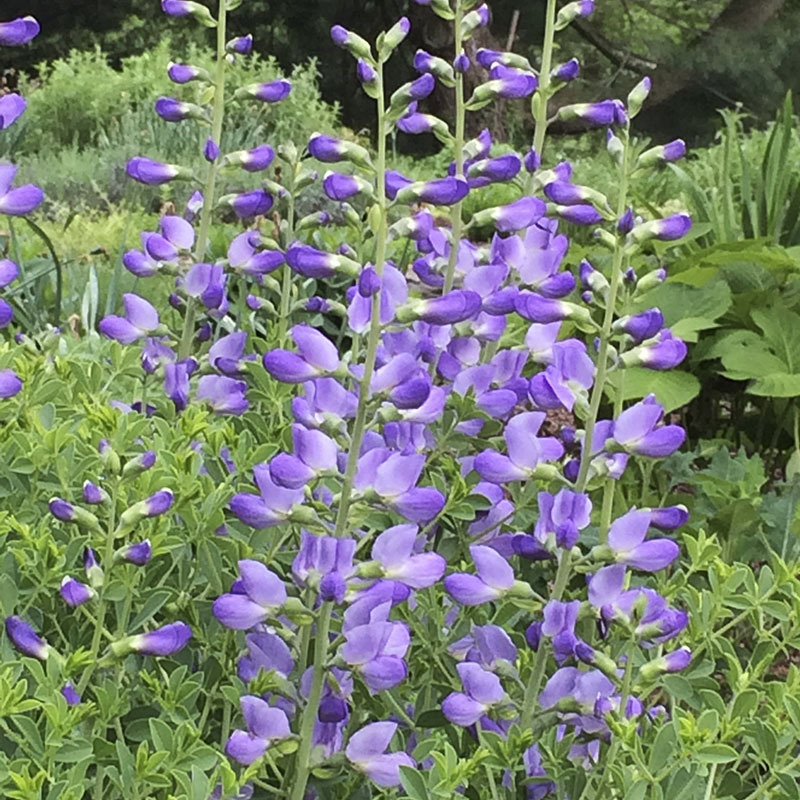 Versatile enough that it looks equally at home in formal gardens, as well as in meadow and more naturalistic gardens. Full-part sun. Height and spread 2-3′. Drought tolerant. Deer and rabbit resistant. Zones 3-8.